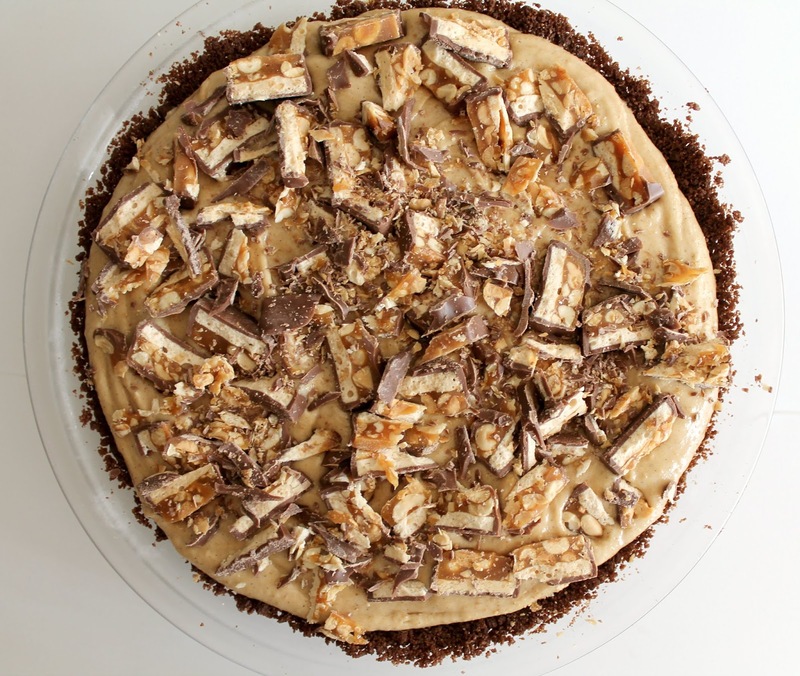 After merely seeing a peanut butter pie at a bakery in Phoenix last year, I've become obsessed with the dessert and have been trying to find an excuse to make one ever since. This weekend we had dinner with friends at their home, so it was the perfect opportunity to make the pie. 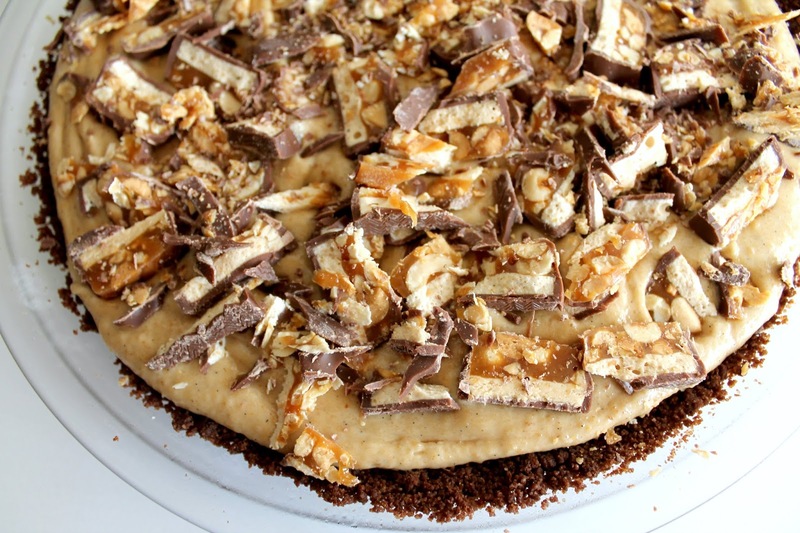 I tweaked the recipe to incorporate as much chocolate as possible--I made a chocolate graham cracker crust, added a layer of milk chocolate, then topped the whole thing with candy. Triumph! The pie was gorgeous--creamy (slightly ice cream-like, actually) and chocolatey and salty and chewy thanks to the candy. It received rave reviews, even from my 5-year old who insists she doesn't like peanut butter. 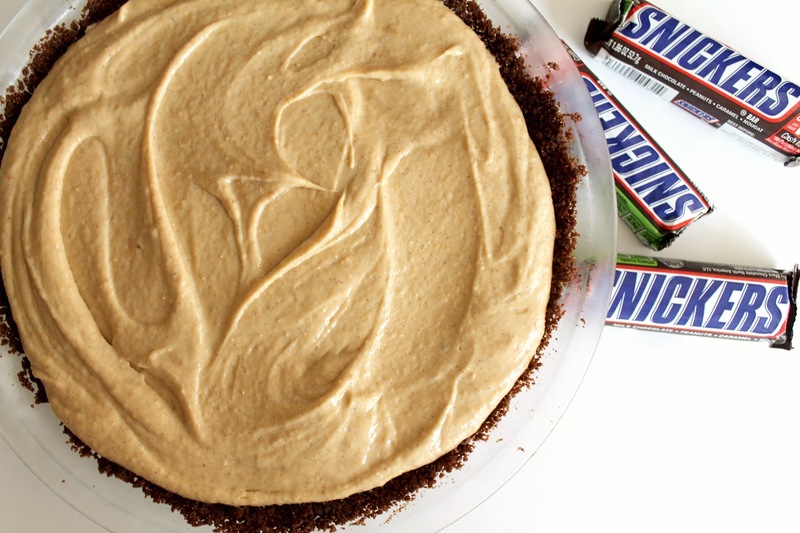 Preheat oven to 350° and put Snickers bars in the freezer. 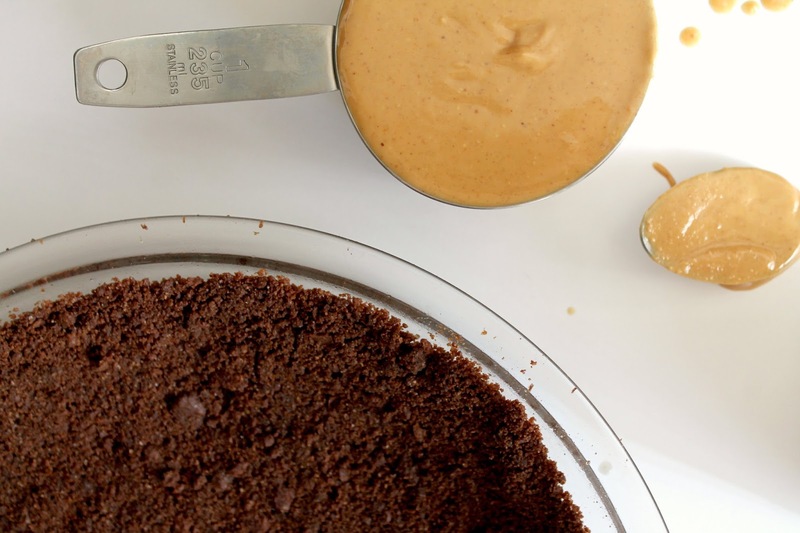 Mix graham cracker crumbs and melted butter and press evenly into the bottoms and sides of a 9-inch pie pan. Bake for about 8 to 10 minutes, then set aside to cool. Microwave milk chocolate chips in 20-second intervals until melted and smooth, pour into the cooled pie crust, and freeze to harden. In a large mixing bowl, whisk cream on high speed until soft peaks form. Set aside. In a medium bowl, beat peanut butter, brown sugar, cream cheese, and vanilla on high speed until smooth, then gently fold peanut butter mixture into the whipped cream until it's completely blended. 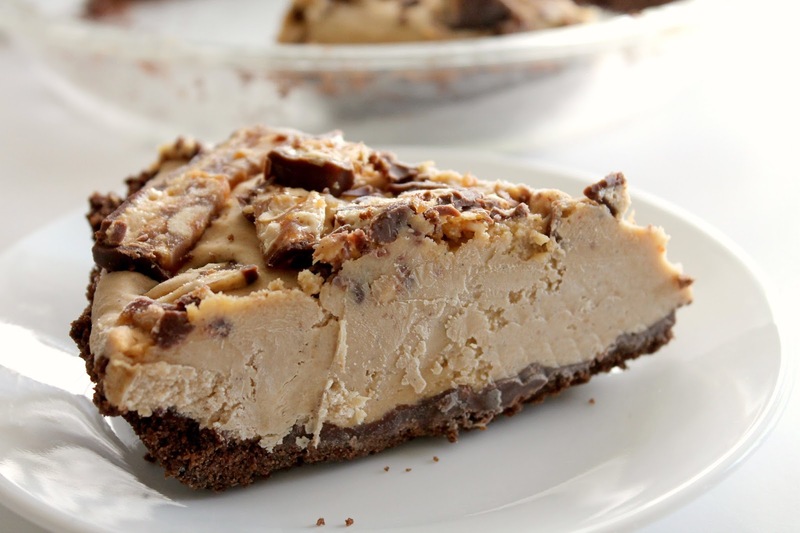 Remove pie pan from freezer and spoon peanut butter mixture into the cooled crust and smooth out the top. 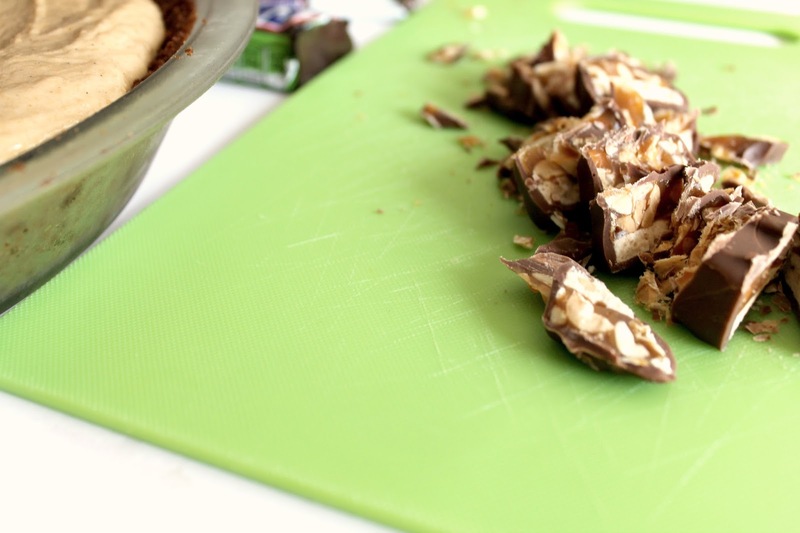 Using a sharp knife, cut candy bar into chunks, then sprinkle the chunks over the top of the pie. Freeze pie for one hour and remove from freezer 15 minutes before serving. If you have to keep it in the freezer for longer than an hour, wrap it in plastic wrap to keep it from getting freezer burn. Whoa Momma! That looks tasty! It was! Will definitely make it again.